Polyurethane. Covers front position only. Includes new outer metal shells. They help maintain proper alignment for your car, especially under extreme driving conditions! 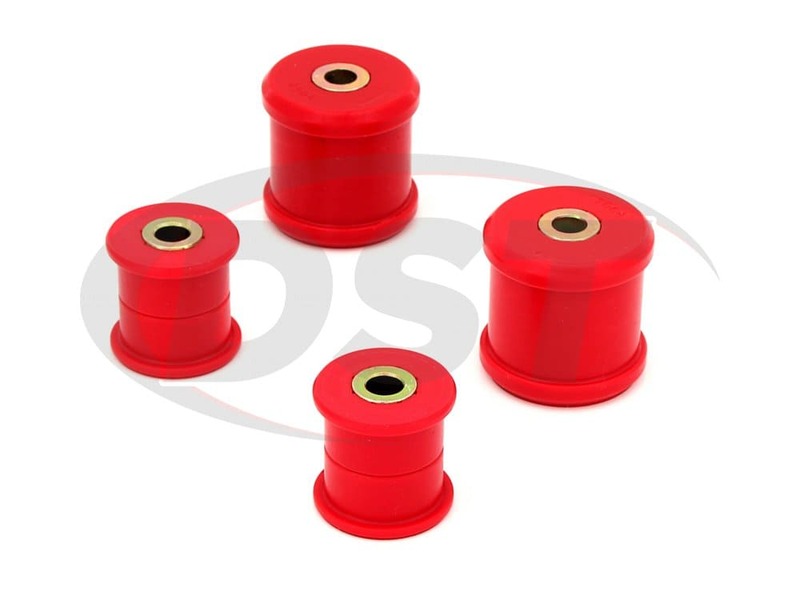 These are a must for lowered cars and are vital to cars with larger than stock wheels. Maintains proper alignment under extreme conditions on and offroad and during competition. 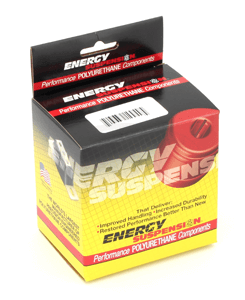 Energy Suspension crafts each of their trailing arm bushings with Hyperflex polyurethane, a material much more durable than rubber that can handle the intense weight, heat, and pressure. But increased durability isn't the only thing Energy Suspension offers. Hyperflex polyurethane is also firmer than rubber. 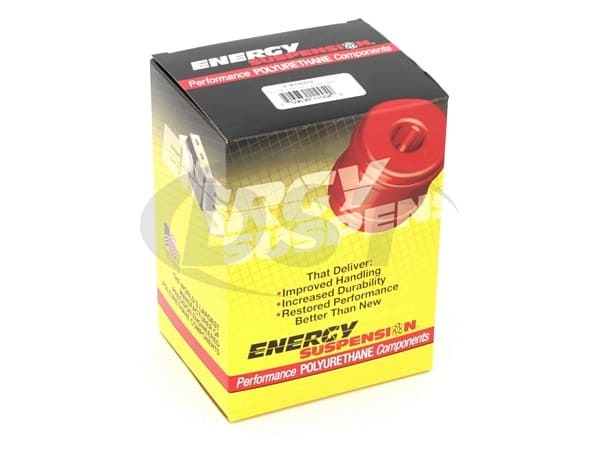 This sturdiness increases your trailing arm's effectiveness. Now, this sturdiness also slightly increases your NVH, but the added safety and longevity are well worth the trade-off. 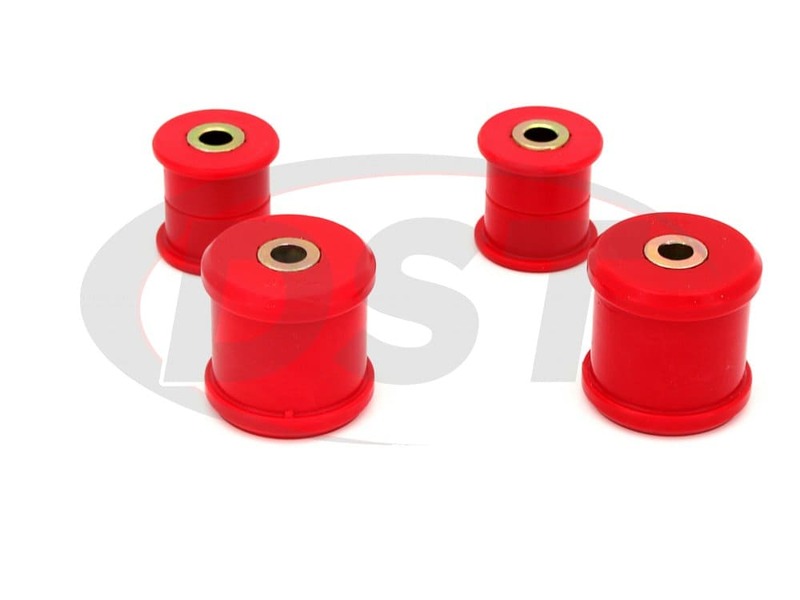 Plus, all of energy's trailing arm bushings are covered by a two-year warranty handled in-house here at DST. Designed to connect your chassis, rear axle, and shocks, trailing arms have to support tons (literally) of weight and pressure. 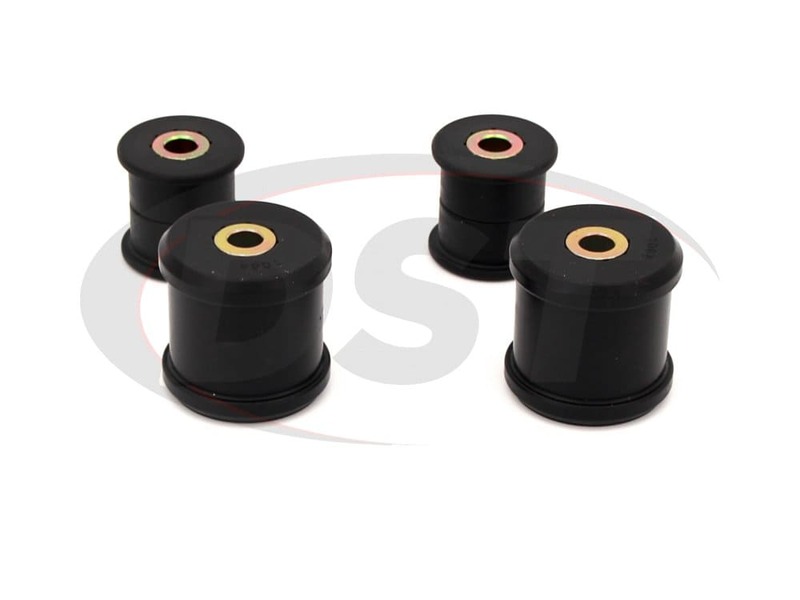 Used at the arm's primary mounting points, your OE trailing arm bushings also have to bear this weight. 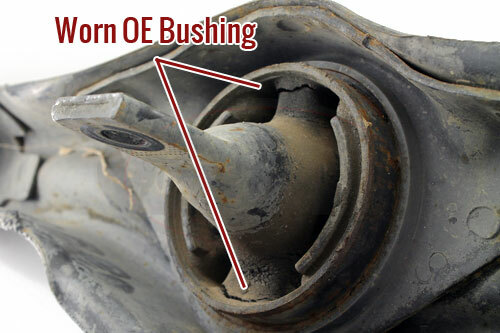 Unfortunately, your OE trailing arm bushings are made of a soft rubber that's prone to cracking and falling away. 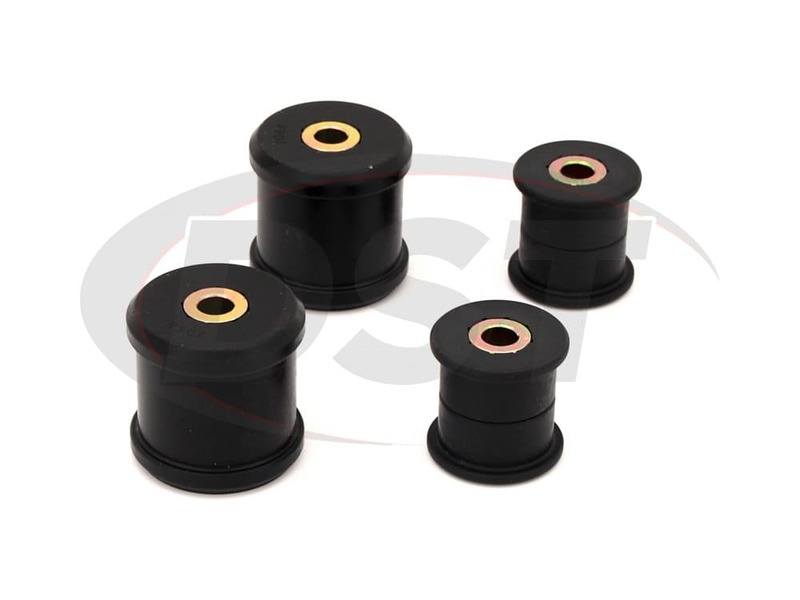 With Energy's Hyperflex polyurethane trailing arm bushings installed, you will have peace of mind knowing that your suspension is performing better than ever. These are easy to install. But, a big c clamp is needed. 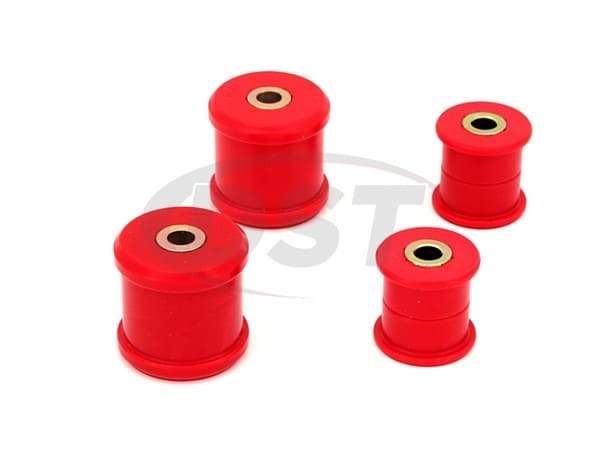 starstarstarstarstar_border" Overall its good stuff "
These bushings are good and offer excellent quality for a good price. The only thing is the poor install instruction quality. It should have some clear and well illustrated instruction so people can install it easily. I broke a set trying to install it. I bought a second one and found a video on the internet how to install it and now everything's fine. Overall its a very good product. Covers front position only. Includes new outer metal shells.